Ahead of Messing about with Maps on Saturday 19 March 2016, archivist Lawrence Barker takes a look at one of the most famous stories connected with Messing’s past. On Saturday 19 March 2016 we are taking a selection of historic maps and documents relating to Messing for display for one day only in the village hall. Messing is a pretty village in the east of Essex, near to Tiptree and Kelvedon. The aim of the event (and others like it that we run around the county) is to enable members of the local community, and anyone else with an interest in Essex history, to come and see these pop-up displays without having to travel to our base in Chelmsford. Messing was chosen as a location for an outreach event when the church’s copy of the parish tithe map of 1839 was deposited with us for conservation and safe-keeping. The local residents who found it in their church were particularly keen to have it shown to others who live in Messing so they could discover part of their history. As part of that history, inevitably, the connection with former US Presidents Bush, whose ancestors are thought to have come from Messing, came to mind. 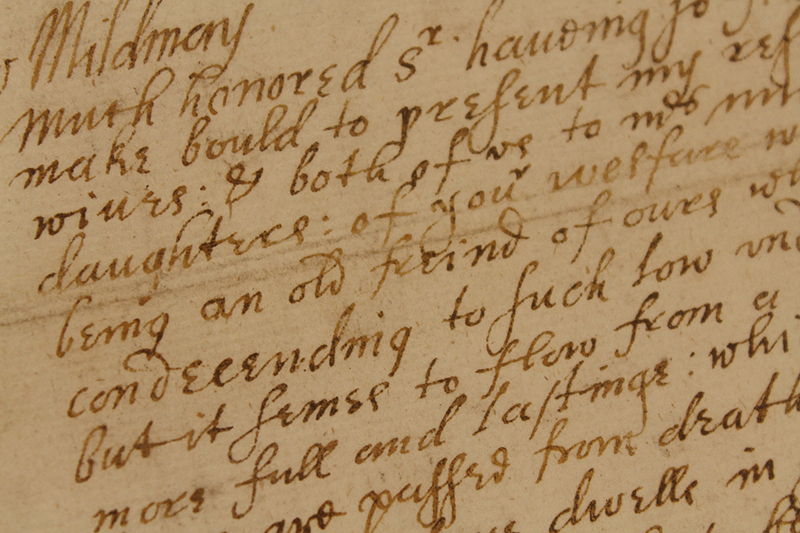 The connection is provided by one Reynold Bush ‘of Messing’ who is recorded as an emigrant to Cambridge, Massachusetts in 1631. 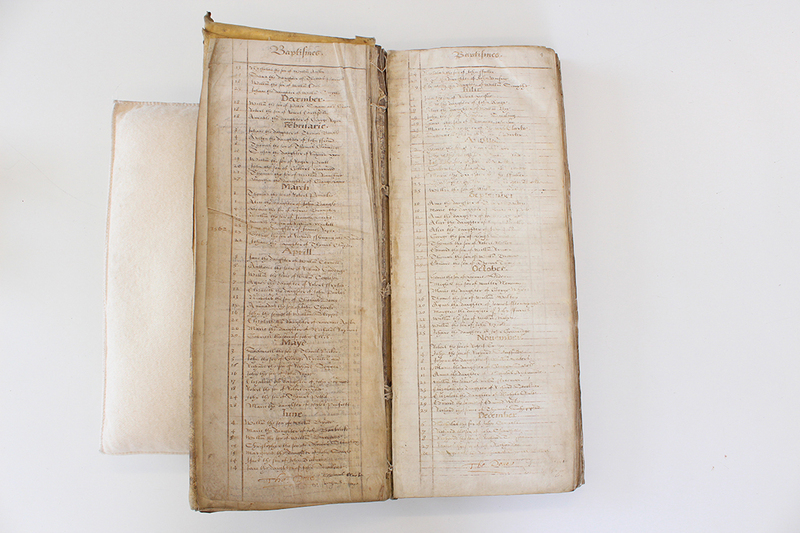 So, we are also taking along some parish registers which feature Bush ancestors and the surviving will of a Reynold Bush of Feering dated 1602 (Feering is about 2.5 miles west of Messing). But, as with most family history research for ancestors before the arrival of civil registration and censuses in the 19th century, the connection can only be regarded as conjectural and not factual. John Bush is possibly the eldest, as he is mentioned first as the beneficiary of the two main properties belonging to his father, and he is possibly the John Bush baptised at Messing in 1594. Both his daughter Anna and his youngest son Reynold appear in the Feering register, so his father possibly moved to Feering from Messing. William doesn’t appear in either register but perhaps comes between John and Anna. 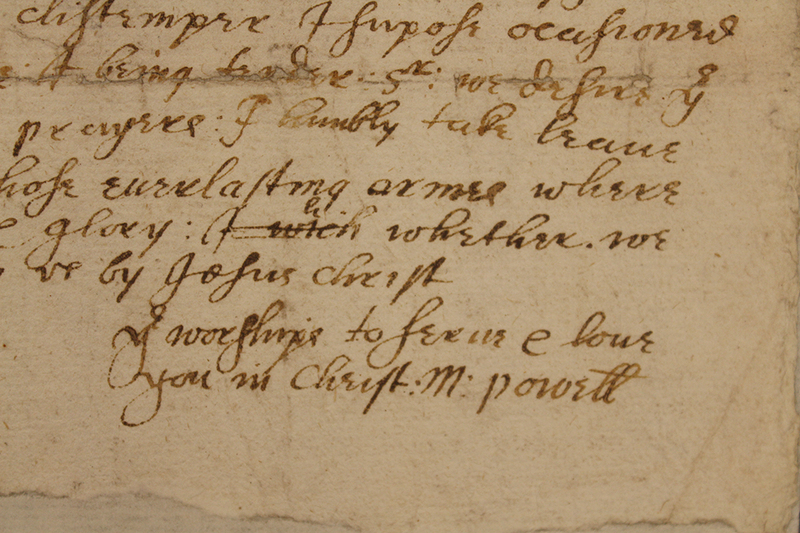 Baptism entry for Reynold Bush, 17 August 1600, in the Feering parish register. Could this be the Reynold Bush who emigrated to America in 1631? Several times in his will Reynold Bush senior refers to property or money which his children were to inherit when they had reached full age and that in the meantime, his wife Judith was to receive the rents from letting some of his various properties to pay for their upbringing. Thus he must have died relatively young and showed an obvious concern that he was going to die leaving his wife to bring up his five children by herself. Eventually, his youngest son Reynold stood to inherit about £80, a tidy sum in Elizabethan times and enough to pay for passage and settlement in the New World if, indeed, Reynold Bush junior was that emigrant ‘from Messing’ in 1631. 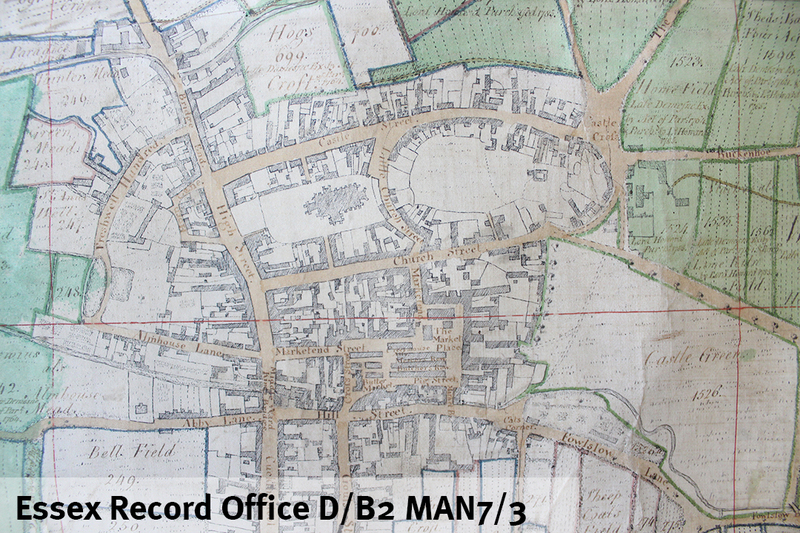 A fascinating glimpse into the past of the historic village of Messing through maps kept at the Essex Record Office, the oldest of which dates back to 1650. 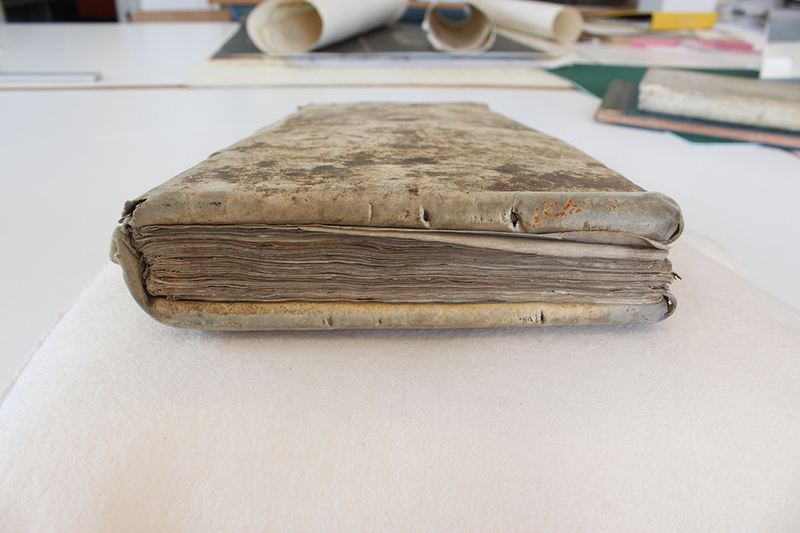 Join us for this one-off opportunity to see these beautiful and unique historic documents. You can find out more about one of the maps which will be on display on the day here. William Pynchon was a native of Writtle and resident of Springfield (both near Chelmsford), who played a key role in creating and developing colonial Massachusetts. The first place named Springfield in America was founded by Pynchon in 1636 as Agawam Plantation, and in 1651 it was renamed after his Essex hometown. We have two good reasons to talk about William Pynchon just at the moment (on top of the fact that he’s an interesting man to talk about at any time); our trip to Boston next week, and a talk here at ERO in September from an American scholar and expert on Pynchon’s life. David M. Powers is a native of Springfield, Massachusetts, and a graduate of Carleton College and Harvard University. 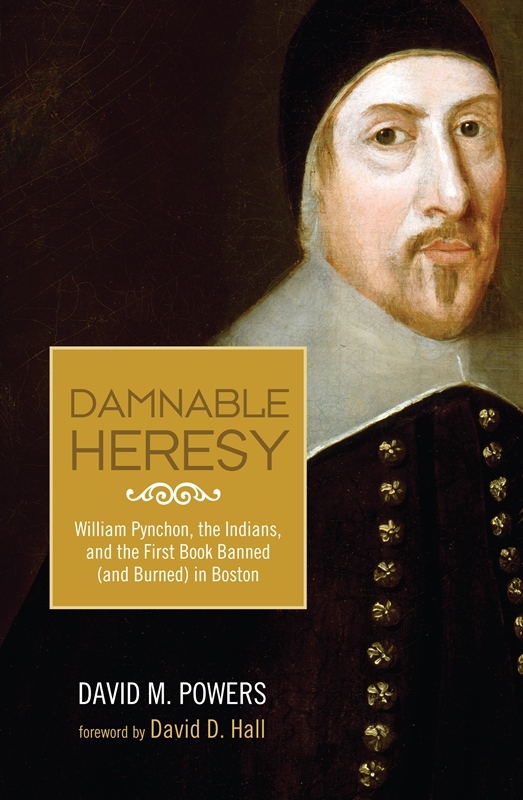 His book, Damnable Heresy: William Pynchon, the Indians, and the First Book Banned and Burned in Boston, offers the first comprehensive biography of Pynchon. Placing Pynchon within the fabric of his times, Powers traces his life from Chelmsford, through his New England adventures, to his return to Britain, and describes contributions Pynchon made to the Puritan experience in Old England and New. First, he consistently treated his trading partners, the Indians, with respect and sensitivity – an attitude which was regrettably not shared by many of his fellow colonists. Pynchon travelled to America with his wife and three daughters on one of the ships of the Winthrop Fleet. This was a fleet of 11 ships under the command of John Winthrop, which carried about 700 people along with livestock and provisions to New England in summer 1630. He was a shrewd businessman, and became one of the wealthiest and most influential men in the Massachusetts Bay Colony. He initially settled in Roxbury, near Boston, but in 1635 led a settlement expedition into the Connecticut River Valley, and founded what would become Springfield. Although the land was not the best for farming, the location was a good one for him to carry on his fur trading, as it was near beaver colonies and his trading partners, the Native peoples, and was on a major transportation route, the Connecticut River. His book, The Meritorious Price of Our Redemption, presented his views on the Atonement. Published in London, it was condemned and symbolically burned by the Bay Colony legislature because of their concern for how the English Parliament might react to strange ideas from New England. Only nine copies are known to survive. Pynchon transferred his properties to his son John, who continued and extended the Pynchon influence in the Connecticut River Valley, and returned to England in 1652, where he spent the rest of his life. Find out about our trip to Boston and more Essex-US connections here. David will be speaking for the September meeting of the Essex History Group on the life of William Pynchon. All are welcome, admission is £1 including a cup of tea or coffee and a biscuit. Boston trip: another document is coming with us! Following yesterday’s post we are pleased to be able to share the news that we have got further permission to be able to bring an original parish register with us on our trip to Boston in August 2015. 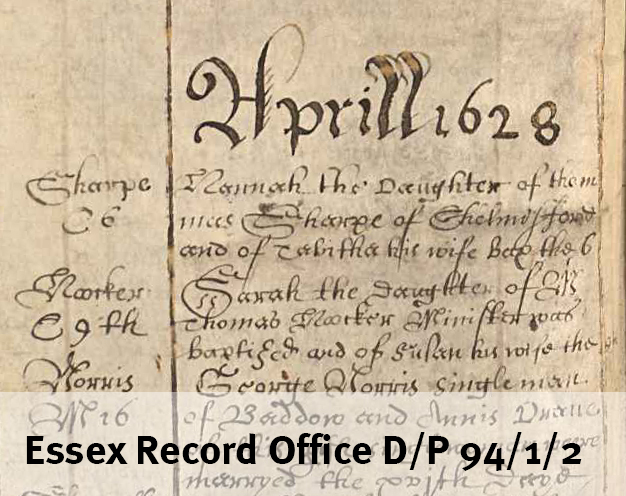 D/P 192/1/1 is the first parish register of Saffron Walden, with baptism, marriage and burial entries dating from 1558-1630, and therefore contains entries for a number of early American settlers and their families. Several early settlers have been traced to Saffron Walden, such as Samuel Bass who moved to Roxbury, Massachusetts, in 1633, Thomas Cornell who went to Boston, Massachusetts in 1638, and Nicholas Desborough, who by 1637 was in Hartford, Connecticut. 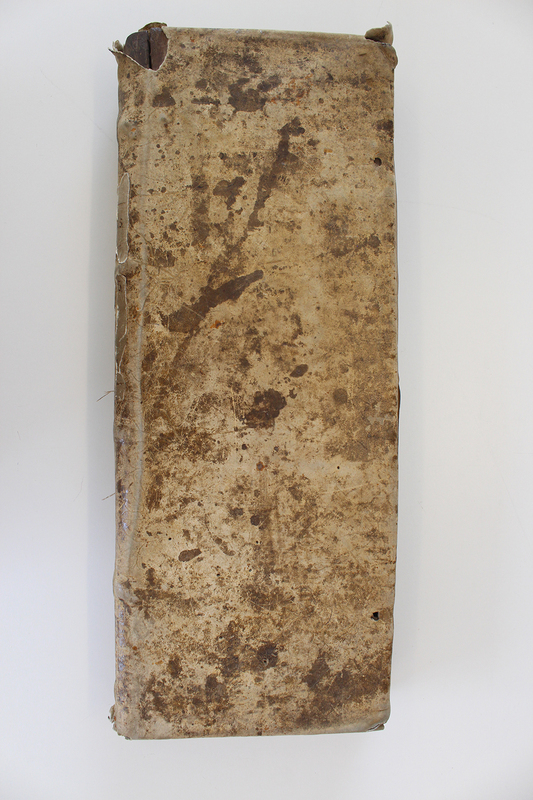 The register is a beautiful early-modern book, long and thin, constructed of wooden boards with a soft leather cover. 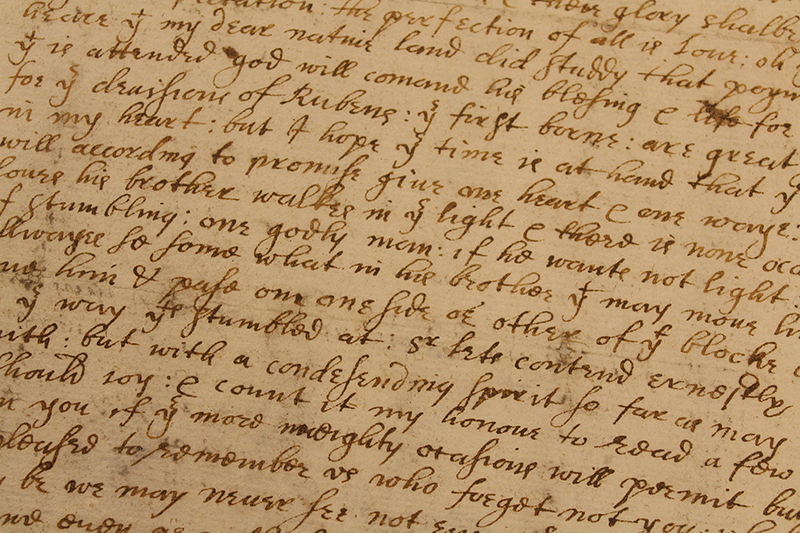 The register will be on display with two original wills at our events in Boston, details of which are here. We have a very exciting announcement today – two ERO staff members will be crossing the pond in the summer for a flying visit to Boston, to introduce the delights of the ERO to an American audience. 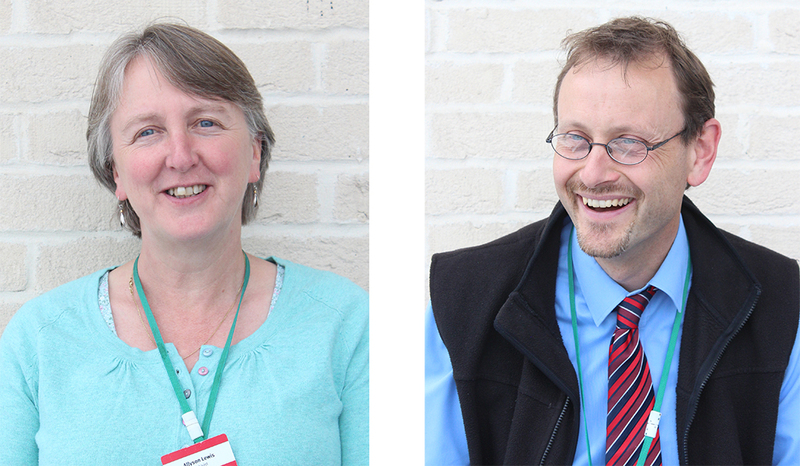 Allyson Lewis, Archivist, and Neil Wiffen, Public Service Team Manager, have over 25 years of ERO experience between them, and have a packed schedule of talks and events for their 5 day trip. You can find out more about this ERO dream team below. This is where they will be – if you are in the area do pop in to see them! Drop in to hear them speak on how to access and use ERO records through our online service Essex Ancestors, and for the opportunity to ask them questions about researching your Essex ancestors. Monday 3 August, 9.30-4.30 Tracing Your English Ancestors from Essex – event with the New England Historical and Genealogical Society, 99-101 Newbury Street, Boston, MA.All the details can be found hereNEHGS was established in 1845 and is a leading resource for genealogists. Its library and archive houses over 28 million items dating back over hundreds of years. Tuesday 4 August Neil and Allyson will be speaking at the National Archives in Boston at 1.00pm, and running a family history helpdesk from 2.00pm-.004pm 380 Trapelo Road, Waltham, MA 02452Toll Free: 866-406-2379www.archives.gov/northeastThe National Archives at Boston is part of the National Archives and Records Administration (NARA), which has several locations across the USA. The NARA facility in Boston stores approximately 30,000 cubic feet of original records, which date back to 1789. For further information including booking please get in touch with the individual venues. Neil and Allyson look forward to meeting you! 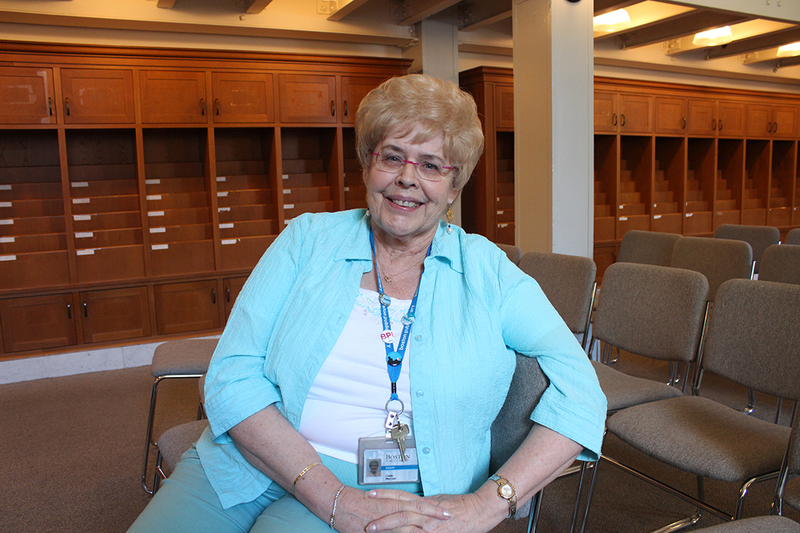 Allyson Lewis is an archivist with 30 years’ experience. She is a graduate of Balliol College, Oxford where she read Modern History. She then took a Masters in Archive Administration at University College London. She has worked at Essex Record Office for 12 years and has responsibility for providing Access Points around the county to bring the Record Office closer to the public. She has focussed on researching First World War ancestry as part of the commemorations of the First World War in 2014. Allyson was born in Liverpool but her family come from all parts of the UK and mainly lead back to the Shetland Islands. Neil Wiffen, Public Service Team Manager of the Essex Record Office, was born in and educated in Chelmsford before undertaking his first degree at the University of East Anglia in Norwich. He started working at the ERO in 2000 when the new building was opened. 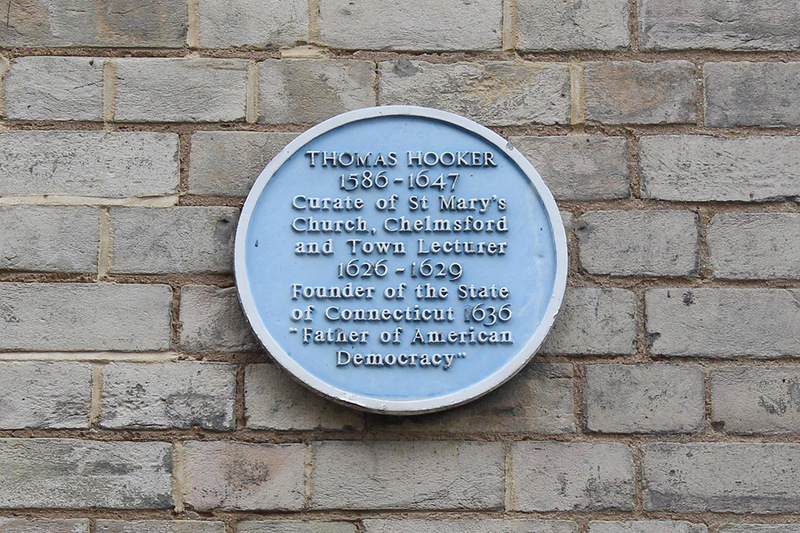 At the University of Essex he completed an MA in Local and Regional History and has a strong interest in the history of the county of Essex sparked off mainly by his Dad telling him tales of watching American bombers taking off from the nearby Boreham Aerodrome. His Wiffen ancestors can be traced back to the Halstead area of Essex to at least 1800 but he is waiting to retire before undertaking his family history proper.